Uncle of the year. Tfats get mad. Jerome travelling all over europe and world for those UCL and Germany engagements. Needs a baby-sitter. 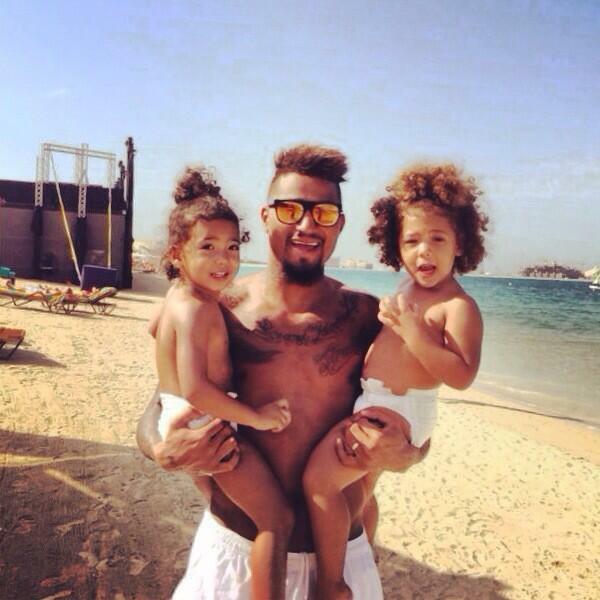 Uncle Boateng is always available. Maybe the best goal I have seen live on TV. Yes, a very futuristic assist from Prince#9! Bring him back, sell fodders. “I have sent Mr Seedorf a message of good luck,” he told Chi. “I still talk to a lot of my former teammates there. “It’s a difficult situation for the lads at the moment, but with the phenomenon that is Mario Balotelli, anything is possible. “Mario was my accomplice when I was at Milan. We have the same look, listen to the same music. Last edited by Ashish; 04-02-2014 at 22:50.